Option A) May buy 1 for yourself and unlimited additional as gifts. Option B) May buy 1 for yourself. May redeem 1 per table per visit. Must use entire value in one visit. Excludes alcohol. Dine-in only. Valid only at the American Fork, Lehi, and Orem locations. Expires 4 months after purchase. See the terms that apply to all deals. 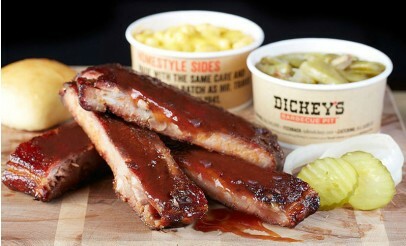 At Dickey's Barbecue Pit, meats are seasoned and slow smoked in hickory wood burning pits on-site daily. Complement your pulled pork, beef brisket or pork ribs with a selection of sides from classics such as coleslaw, jalapeno beans or potato salad. 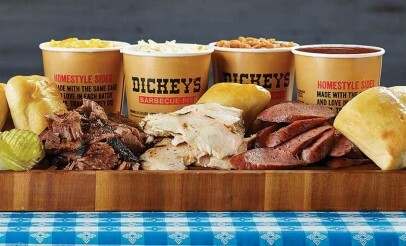 Since 1941 Dickey's BBQ Pit has been smoking all their meats on-site at the restaurants. 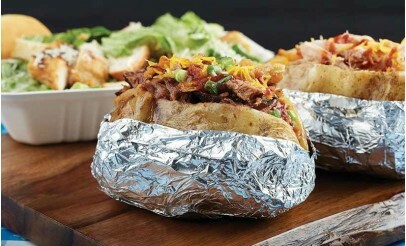 The selection of meats you'll find includes beef brisket, pulled pork, ham, polish sausage, turkey breast and chicken. 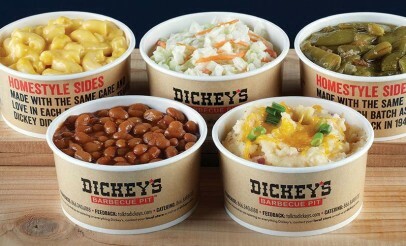 Plus, Dickey's BBQ Pit has an extensive array of home-style sides from jalapeño beans to macaroni and cheese. Complimentary ice cream is serviced with every meal and, as always, kids eat free on Sunday.